What Must I Arrange Myself? Oeh! Good one! And this is an important one! The first night, 22 July 2019, in Amsterdam, you’ll have to find your own sleep accommodation, maybe you'll find a place to crash with friends. Of course campsite 'Zeeburg' is good option as start and finish of the tour will be at this campsite. The last night of the Tour, 27 July 2019 when we arrive in Amsterdam on the campsite as well, as we don’t know if you love a certain bed, clowns wagon or tent at the campsite 'Zeeburg', it’s all up to you. Just make sure you have the correct dates with your place of stay. The last and final night in Amsterdam, 27 July 2019. Probably you will stay another day at the campsite, but that's up to you. Nothing comes free, it’s a shame, we know. The ticket for this event will cost €250,– per person. If we can find the same quality for a lower price, you will get a refund or extra value added. Tickets will be available from 1 February till 16 June. Nights at a Hotel on 23, 24, 25 and 26 July 2019. Based on 2 persons in a double room. So when buying a ticket let us know who you plan to share the room with. If no name is given we will make the decision. Did you received a confirmation email after your payment? Yes? Well, this is your ticket! Did not received an email? 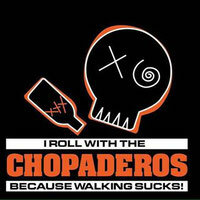 Please let us know and we will check it out for you, mail us at: dutchchopaderos@gmail.com. After we receive your payment we make sure that your name is on our list of participators. You don't have a PayPal account, but still want a ticket? That's of course no problem! You can also pay via a bank transfer, stating CSI 2019, your name and the name of the person you want to share the room with. Please send us an email (dutchchopaderos@gmail.com) and we will give your further information! Can I join The Tour without a ticket? Of course you can, that's cool, but you have to arrange all things yourself (hotel, ferry, luggage transport etc). Last but not least be at the right place and time if you want to join us for a day! That is an easy one, park your car near the campsite, you're probably staying there the first night and stay there aswel when we return Saturday afternoon at the campsite. Where is the start of the Tour? Start of the Tour is at Camping Zeeburg. 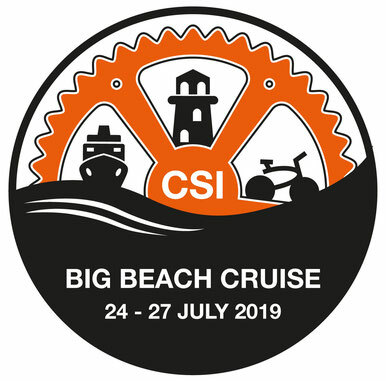 for the other days of the Tour see the CSI 2019 program. If you don't bring your own bicycle (recommended). We would suggest to post it public (for example on our Facebook page), maybe someone can borrow you one for the event. Or contact a bicycle rental company in Amsterdam and see if you can make a reservation for a certain period.